Every city that’s ever considered removing auto parking to make room for a protected bike lane has been, understandably, nervous. North America’s best city for biking wasn’t immune. 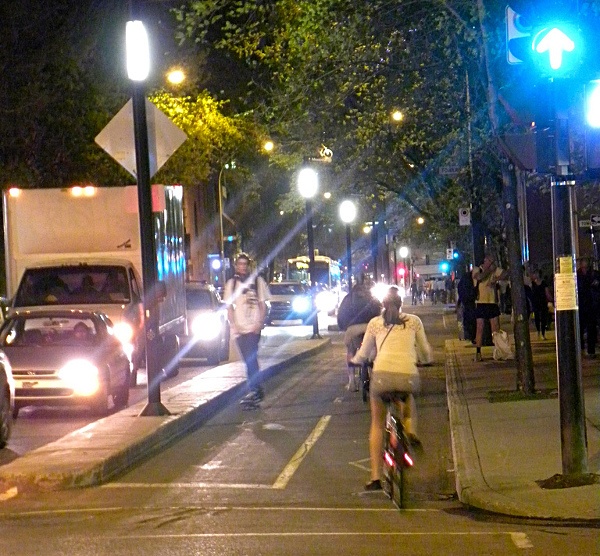 But when it was planning its signature downtown bike project in 2005, Montreal got past those concerns with a very simple tactic. 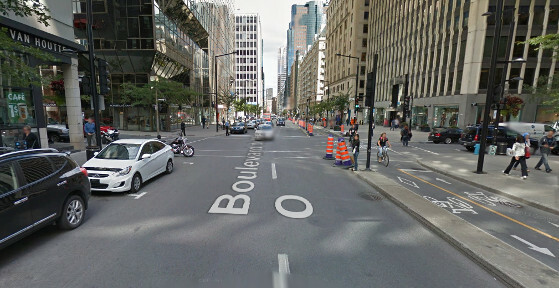 Instead of counting only the change in parking spaces on the boulevard De Maisonneuve itself, a measure that might have led to headlines and perceptions that “half of the parking” was being removed, it counted the total number of auto parking spaces — public and private, on-street and off — within 200 meters of the project. The district, it turned out, had 11,000 parking spaces. Converting one of the corridor’s two auto parking lanes to a protected bikeway would remove 300 of them, or just under 3 percent. Even worried business owners were calmed, he said, when they saw the proposed changes in context. It was simplistic, but far less so than the usual way of measuring a project’s impact on parking, which counts only the spaces on the street itself. “Every time you remove one car, people think that everything will stop, you know?” said Pronovost, whose organization is hosting a “Bike Lab” in June to share lessons from Montreal’s bicycle planning successes. Crowded auto parking, of course, is a sign of a commercial district’s success. A network of family-friendly protected bikeways is a way to bring that district to the next level, by freeing it from having to add more and more auto parking for every additional customer. But that’s a change that often can’t happen without removing some of the existing parking — which is why it’s so important for cities to keep their cool (Canada style) when it comes to measuring what’s actually at stake.